With elegant traditional details and soft curving lines, this charming king sized bed looks like it belongs it a chateau. 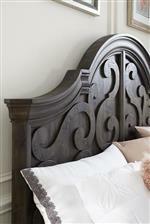 The ornate headboard has a curved design and is accented with two panels with rich scrolled design work. 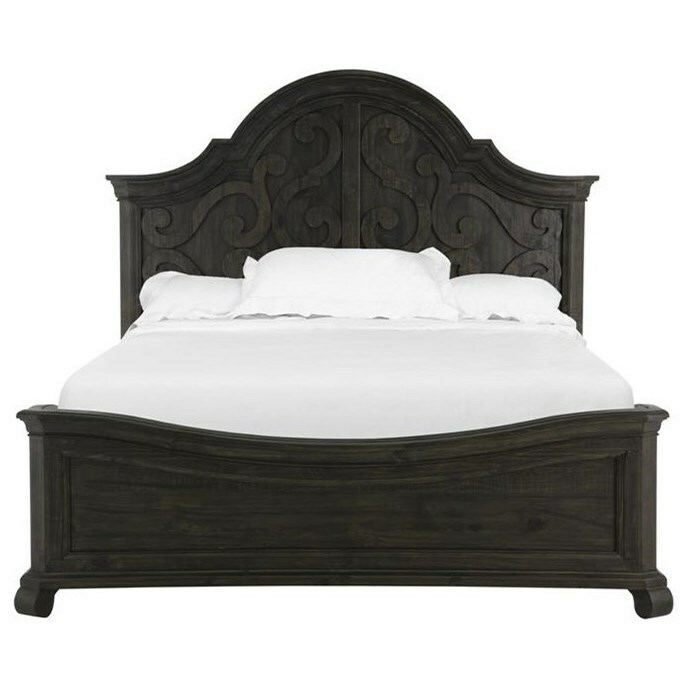 The footboard has is also curved, giving the bed a warm and whimsical feeling. A rich Peppercorn grey finish and angled bun feet tied the piece together. The Bellamy King Panel Bed with Curved Headboard and Footboard by Magnussen Home at Miskelly Furniture in the Jackson, Pearl, Madison, Ridgeland, Flowood Mississippi area. Product availability may vary. Contact us for the most current availability on this product.